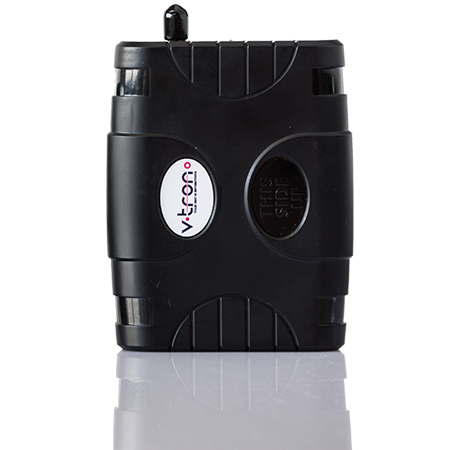 With Connected Car from V-tron you can manage your fleet more efficiently and effectively. Connected Car from V-tron ensures that you have complete insight into relevant data concerning the use, consumption and location of cars and equipment. V-tron is an innovative company that develops and markets applications based on telemetry technology. With this technique, V-tron enables organizations to save money and time. Connected Car ensures an optimized logistics process that makes effective use of your fleet. Online tracking of the vehicles is one of the basic functionalities of Connected Car and offers unique advantages for fleet managers regarding planning and controlling of vehicles and employees. However, tracking is not an added value for every situation. An example of this is when the system is only used for alarm monitoring. At the moment that the behavior of drivers can be recorded, it will also be possible to influence this behavior. By first determining what is desirable and undesirable behavior, action can be taken in case of deviations. Benefits of Driver Safety The objectives can be achieved by offering various links in combination with a system where different variables are measured in the vehicle and then made visible online. Driver Safety is made visible in the application by means of a so-called ‘traffic light method’, so that it is immediately clear how consciously driving and where the excesses are. This makes it easy and clear to manage more conscious and environmentally friendly driving behavior, which also saves enormous costs. ZOOF is an app for iPhone and Android phones that you as a road user advises about the optimal speed, about handling at entry and exit lanes and about the following distance after traffic jams. With ZOOF you score points (ZOOFies) by following these recommendations, which you can exchange for nice rewards with the partners of ZOOF. Currently ZOOF can be used on the A67 and A58, allowing you to drive from Tilburg to Eindhoven and Venlo with ZOOF.